Emily has lost control of her Amulet and is imprisoned in the Void, where she must find a way to escape the influence of the Voice. Meanwhile, Emily's brother, Navin, travels to Lighthouse One, a space station where the Resistance is preparing to battle the approaching Shadow forces that would drain Alledia of all its resources. Emily and Navin must be smarter and stronger than ever to ensure Alledia's survival. Kazu Kibuishi is the writer and artist of the New York Times Bestselling AMULET graphic novel series, published by Scholastic Graphix. He is also the editor/art director/cover artist of the EXPLORER and FLIGHT Comic Anthologies, and the creator of the webcomic Copper. His debut graphic novel, Daisy Kutter: The Last Train, won a YALSA Best Books for Young Adults Award in 2005. In 2012, he illustrated the covers for the Harry Potter 15th Anniversary Edition paperbacks. Kazu is 4th-generation Japanese-American. His great grandfather opened the oldest Japanese grocery store in the US, called The Katagiri Store (open since 1907), and it is located in New York City. His mother grew up in Brooklyn, but moved to Tokyo to attend Keio University. Kazu was born in Tokyo, Japan in 1978, and his brother was born in 1979. The family moved back to the United States in 1981, and the boys grew up near Los Angeles, California. Kazu began drawing comics at the age of 5. Despite spending much of his time drawing comics, Kazu decided not to attend art school and enrolled at the University of California Santa Barbara, where he graduated with a degree in Film Studies in 2000. After graduating, he pursued a career in the animation industry, but found his way back to making comics. He currently works as a full-time graphic novelist. He also speaks at schools. Kazu currently lives in the Pacific Northwest with his wife, author Amy Kim Kibuishi, and their children. Bolt City Productions is a small production studio dedicated to creating great books for readers of all ages. Working alongside Kazu are talented artist/writers Jason Caffoe, Amy Kim Kibuishi, and a small color production team of digital painters from around the world. Currently not booking new events for 2019. Please check back in Spring 2020. The AMULET series began as a much smaller project in college, in the late 90's. 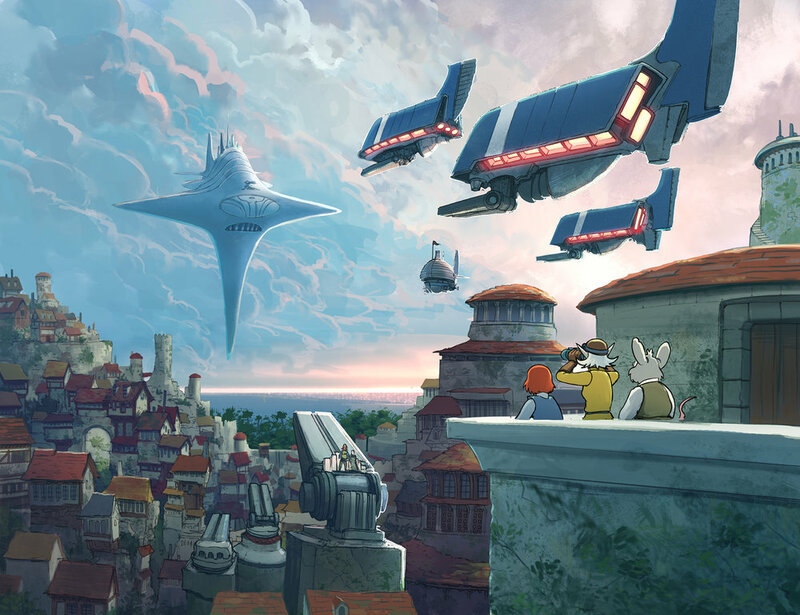 After reading Nausicaa of the Valley of the Wind by Hayao Miyazaki and Bone by Jeff Smith, Kazu was inspired to try his hand at creating an epic adventure graphic novel. but decided he wasn't quite ready to go on the journey. Seven years after the first attempt, Kazu revisited Amulet and began working on it as a series for Scholastic Graphix. He is currently working on Amulet 9, the final volume in the series. Webcomic created by Kazu Kibuishi in 2002. Kazu began posting these comics while working in graphic design, architecture and animation with no intention of making comics a career. With few outlets available for comic strips, Kazu turned to the web and changed his portfolio website into a newspaper. The comic garnered critical acclaim and attention, leading to interest from major publishers. 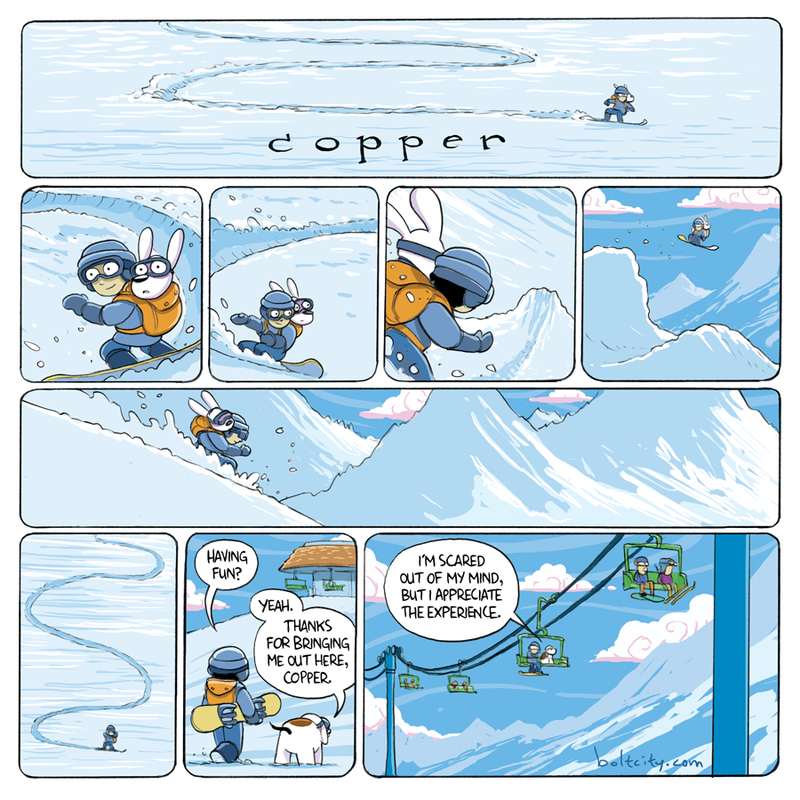 A collected edition of Copper comics is available from Scholastic Graphix. After taking a long hiatus to focus on Amulet and other projects, Kazu began posting new comics in 2017. 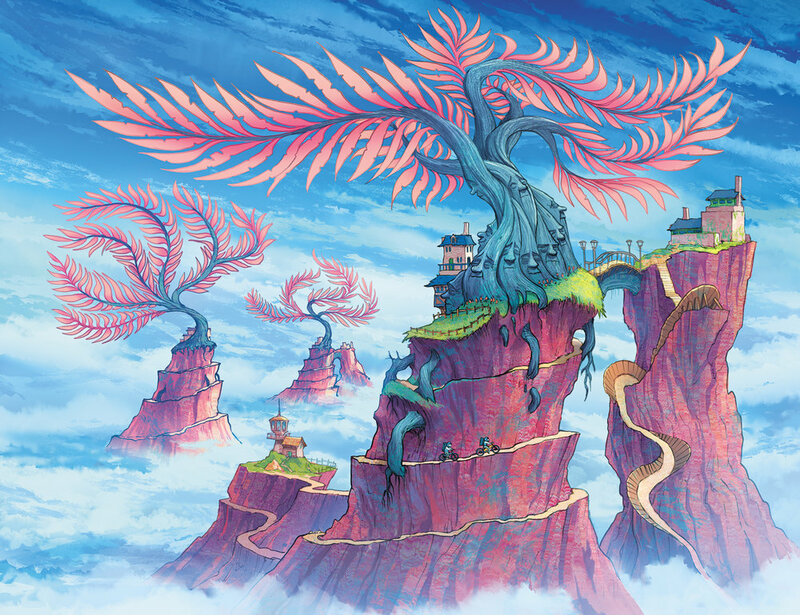 Kazu: When I was in college, I read Nausicaa of the Valley of the Wind by Hayao Miyazaki and Bone by Jeff Smith. I wanted to someday create a series of graphic novels that could sit next to these two works and feel like it belonged on the same shelf. I even keep Nausicaa and Bone on my desk next to me while I work to remind myself. I also wanted to write about growing up with my brother, and our experiences having to help our parents out financially while we were in our early 20s. So, Amulet is a combination of many inspirational fantasy/sci-fi movies, games and books combined with the emotions of what our family went through in the years after my brother and I graduated college. How many Amulet books do you plan to write? Kazu: The Amulet series will be completed with book 9. Do you plan to make more books after Amulet is done? Kazu: Yes. I have been developing a different series for a long time. The project is something I started working on years before Amulet was published, though the project is not quite as old as Amulet is (I started thinking about Amulet in high school, and I started working on the other project in college). Is Amulet going to be made into a movie or show? Kazu: An Amulet movie is currently in development at Temple Hill Productions. What advice do you have for aspiring artists and writers? Kazu: Give yourself room and time to make lots of mistakes. Just schedule it in. If you stay focused on trying to learn and get better at something- anything- you will learn to work with and around the mistakes over time. Stay patient, and stay focused. Where can I send a letter for the author? Kazu: I currently receive too much reader mail that I am unable to respond to letters. Please send as an email or low-resolution scanned image to info@boltcity.com and I will do my best to respond.